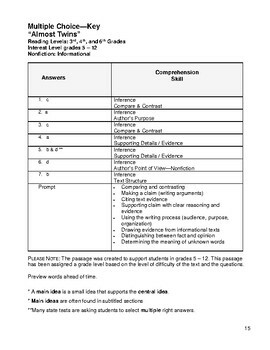 Prepare your students for ONLINE STATE ASSESSMENTS. But it's MORE than just test prep It's GOOD writing. "TICK TOCK" is a NONFICTION ARTICLE about how crocodiles were here before and AFTER dinosaurs. 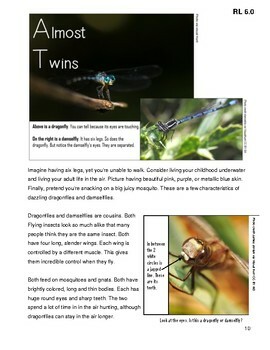 "ALMOST TWINS" is a NONFICTION ARTICLE comparing and contrasting dragonflies and damselflies. 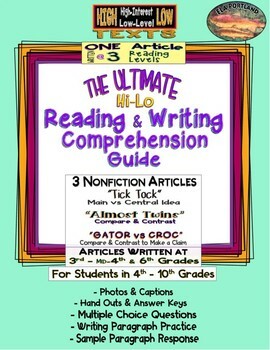 "GATOR VS CROC" is a NONFICTION ARTICLE comparing and contrasting two commonly mistaken creatures. 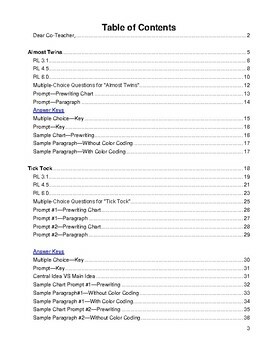 Use articles MULTIPLE times to teach NEW concepts, as well.